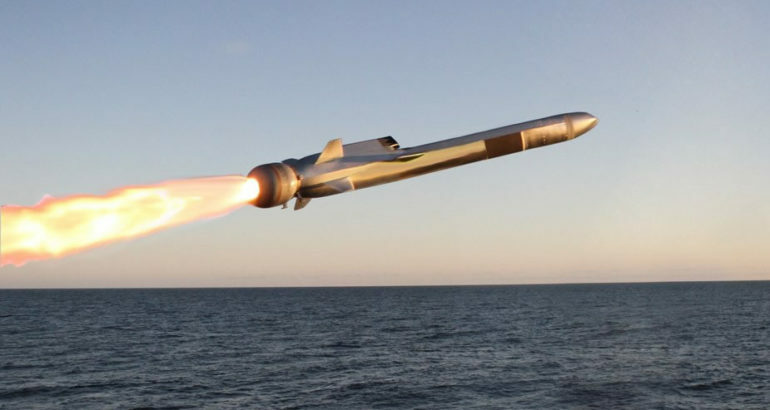 NSM anti-ship missile during its launch phase. 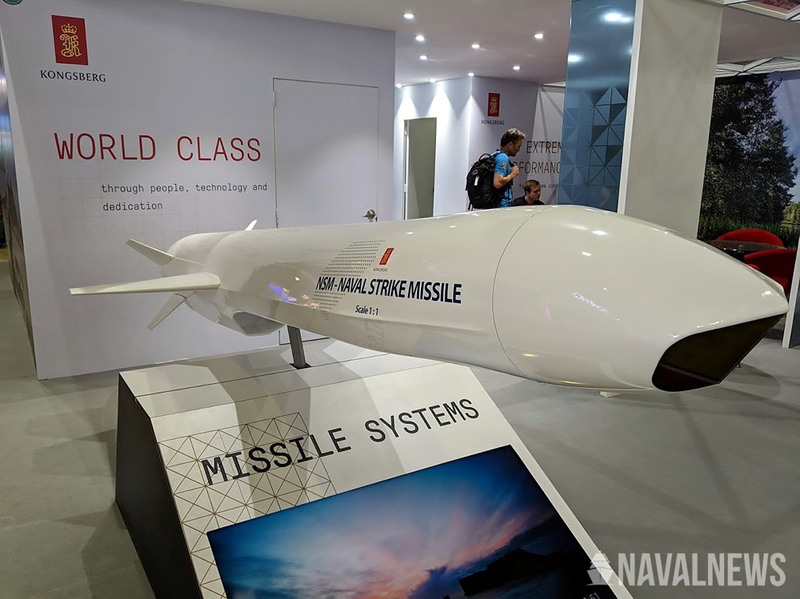 Talking to Naval News during the event, Øyvind Kolset, Executive Vice President Missile Systems, Kongsberg Defence & Aerospace, confirmed that production of the batch of anti-ship missiles for the RMN has recently started in Norway. He also confirmed to us that the recent selection of the NSM by the U.S. Navy would have “no impact at all” on the contract with Malaysia. The RMN selected the NSM for its future LCS Frigates during LIMA 2015. A contract worth EUR125 million was signed during the DSA 2018 defense show in Kuala Lumpur. 6 “Littoral Combat Ship” Frigates are currently under construction at Boustead Naval Shipyard (BNS) in Lumut. The vessels are based on Naval Group’s Gowind corvette design. The French shipbuilder is the main sub-contractor. We learned from various sources at the show that the vessel is expected to start sea trials in the first half of 2020. The Maharaja Lela was launched during a ceremony in August 2017 and continues it fitting out today. NSM has an operational range of 185 Km (100 nautical miles) and a high subsonic speed. It uses Inertial, GPS and terrain-reference navigation and imaging infrared homing (with a target database aboard the missile). The NSM is a fifth generation anti-sip missile, developed by KONGSBERG for the Norwegian Navy. NSM reached Initial Operational Capability on the new Norwegian Fridtjof Nansen-class frigates and the new Norwegian Skjold Class corvettes in 2012. It is also fielded by the Polish Navy (coastal defense batteries) and has been selected by the navies of Malaysia and Germany. NSM was also selected in 2018 as the winner of the U.S. Navy Over-The-Horizon Weapon System (OTH WS) competition.